Hoping this email finds you in good health and uplifted spirits. 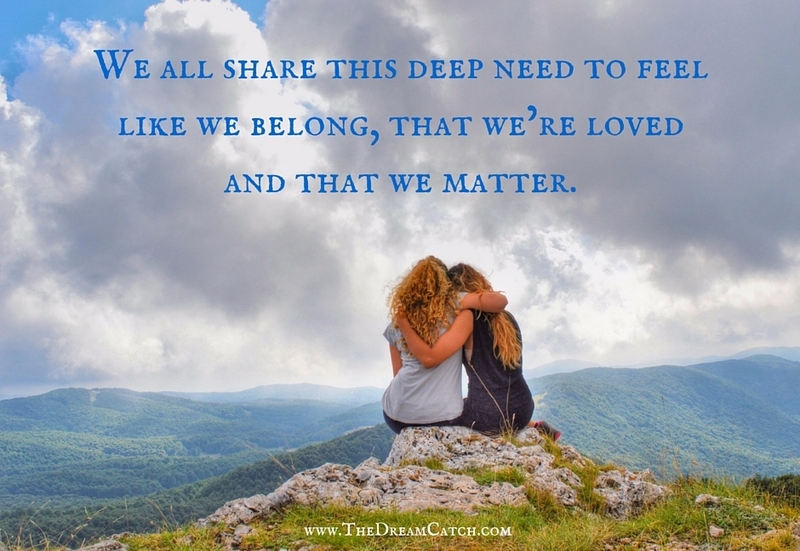 We all want to belong, to feel loved and respected for who we really are. Look around you today at the people who pass you buy, serve you food, listen to your ideas, hear your concerns and drive along the same roads. Make it your intention to really see those around you and have patience if cars are going slower than you would like, if someone is taking longer at the check out line, if a mistake is made. The Upanishads, one of the greatest yogic texts, reminds us that when we are plugged in to the universal energy by quieting the mind and keeping our thoughts pure, releasing every selfish desire we know deep down that We Are All One! Thursday, November 2nd beginning at 9am Bridging the Gaps 2017 for All Professionals and Family Members working with individuals with Disabilities. I will be speaking on behalf of AHA Assn, Asperger’s Syndrome and High Functioning Autism Association. Join us, Its Free and so important to our population and communities to bridge the gap toward understanding and empowerment for all. Registration required. Click Here for flyer and registration information. Saturday, November 4th at 7 to 830pm Kirtan Chanting at Gentle Strength Yoga Studio in Rocky Point! Join us as we send out positive energy into a world that so desperately needs it. Together we will sing original compositions of sacred chants meant to clear the mind, body and spirit of clutter and negative energy. Chanting connects us not only to each other as community but is said to call down powerful spiritual energy to connect us to a power beyond this world. Chanting is healing, uplifting and meditative. Not vocal or chanting experience necessary. All are welcome!! $25 per person as well as a non-perishable item for donation to those in need. Thursday November 9th at 715pm Restorative Yoga with Oils Monthly Class – $15 per person pre-registration required. This is a great way to story up that energy and give yourself some much needed TLC!! Give this gift of healing and restoration to yourself or a loved one. This is a great time to Detox and build up your immune system preparing you for the chilly, busy season ahead. $60 Prepaid $70 Walk In if space allows – These sessions always fill up – Don’t Delay! Hope to see you all in class real soon! Ill see you at the Wednesday evening class. Carol S.
Looks like I’ll be able to make it to yoga Friday. I need it!